Auron is making a date with lovers of good food, big eaters and sophisticated gourmets. 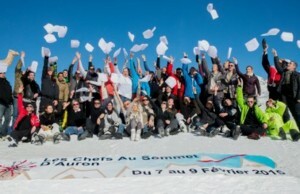 For the 8th consecutive year, Auron will celebrate gastronomy over a weekend with the greatest chefs from the French Riviera in order to showcase their talents at the heart of the resort and village's establishments. This mountain gastronomy-themed festival will be coupled with a small market offering artisanal and local products from the valley. Wine producers will also be present while activities will be organised, such as demonstrations, culinary tastings and pastries with chefs as well as members of the Apreca (Association of Pastry Chefs from French Riviera Restaurants). Enjoy a ski and gourmet stay!